Djinn (Jin) are artificial life forms created from Rukh. They rule over Dungeons and are able to change the level of their Dungeon's difficulty. They sleep deep inside their Dungeon, until a Dungeon Capturer proves themselves worthy by finding their Chamber. Those who house Djinn within Metal Vessels are referred to as "King Vessels", and are prophesied to be contenders to rule the entire world. Typically Magicians and Djinn would not get along very well, but more trained Magicians are capable of preventing the Magics of Djinn and their own from interfering with one another. Like the majority of systems on this site, Djinn are separated into different stages. There are a total of 3 stages of Djinn Specialization, each with their own expectations of progression. Page - Being a Page is the first stage a King Vessel must go through in their Djinn training. A Page must be at least D-tier, can only perform a Djinn Weapon Equip, and can only have 1 member of his or her household. As a Page you can create up to 2 abilities which revolve around your Djinn's theme. These cannot surpass B-Tier. Knight - After Page comes Knighthood. To become a Knight, the King Candidate must be B-tier. At this time a person can perform an actual Djinn Equip, and have 3 members as a part of their household. Training from Page to Knight has a word count requirement of 4,000 words. This training should include learning your full Djinn Equip form, along with learning to better understand the power of your vessel. As a Knight you can create a total of 4 abilities for your Djinn. These cannot surpass A-Tier. King - Being a King is the final stage of owning a Djinn. In order to become a King, their rank must be Ω. The strongest techniques on the site, Extreme Magics, can be performed at this level. Furthermore a person can have up to 5 members as a part of their Djinn's household. Training from Knight to King has a word count requirement of 8,000 words. This training should include learning of extreme magic and gaining full control of your metal vessel. As a King, you can make up to 7 abilities for your Djinn, as well as a single Extreme Magic ability. The abilities can be up to Ω-Tier, while the Extreme Magic is in a class of its own. There are several things to know about Djinn and how you use them. Every Djinn has a single magic "theme" or "element". For instance Amon's is fire, and Baal's is lightning. All of your abilities must revolve around this theme. You get to choose the appearance of your Djinn and Weapon Equips; however they have to relate to the given Djinn. Eg. A fire Djinn Equip can't look like an icy or watery armor. A Djinn's abilities all follow the Intelligence Ability Guidelines. While using Djinn or Weapon Equip, you lose access to all your other abilities unless they apply to the weapon type the equip offers. Eg. A strength spec user could use abilities registered to a sword if the djinn equip has a sword type weapon. But they could not use said abilities if their djinn weapon was a polearm or a club. The act of Djinn/Weapon Equiping is a sustained ability. As such, the weapon of these forms deal ability damage by default and once per post they can make use of a passive effect granting them a power related to the Djinn's theme. The scale of these effects must never exceed 5m in size and supplementary in nature. But no matter what, they Must originate from or surround the weapon itself and possess the same tier of potency as the weapon. Eg. Amon's ability to melt what it cuts or Paimon's ability to generate a gust of wind that can blow away projectiles. Magician's cannot use their magic while Djinn Equipped and their Borg will not function as it would interfere with the Djinn's magic. This is for Dungeon Capturers who are not yet able to perform full Djinn Equip [Pages], or just want to use the Weapon Version. The user first surrounds the Metal Vessel with Magoi and compresses around it to form the Djinn's Weapon. Using this same principle to surround the body allows one to fully Djinn Equip. This is the proper way to use a Djinn's power, rather than just exploding the power outwards. A Weapon Equip creates a weapon out of the Metal Vessel, regardless if the Vessel itself is a weapon or not. The Weapon Equip costs 10 magoi to form and 5 magoi per turn sustained. The Weapon Equip is capable of doing C-tier ability damage. The Weapon Equip itself requires Omega-tier damage to destroy. After being deactivated, a Weapon Equip cannot be used again for another 5 posts. *You must register a Djinn Weapon Equip within the Djinn Section of the Ability forum. A Djinn Equip (Masō) is an ability of a Dungeon Capturer to take the form of a Djinn. When you use Djinn Equip, you try to take the exact appearance of the Djinn. The user does not take the appearance of the Djinn in terms of personal features (facial features, body hair, etc) but rather the cloths, jewelry or even skin complexion (like gills or skin color). A common trait with Full body Djinn equips is a third eye on the forehead. While in Djinn Equip form, the user can fly around at a constant pace of 15m/s. The Djinn Equip costs 20 magoi to cast and 10 magoi per turn sustained. The Djinn Equip is capable of doing A-tier ability damage. The Djinn Equip itself requires Omega-tier damage to destroy. Once deactivated, a Djinn Equip cannot be used again for another 8 posts. Upon obtaining Djinn Equip, a King Vessel can create ANOTHER ability which does not take up one of your normal Djinn Ability Slots. This ability costs half of the Magoi a regular ability of that tier would cost, and it automatically has a cool-down of 3 posts. Eg. An A-Tier fire spell would normally cost 40 Magoi. During the Djinn Equip it would only cost 20 Magoi. You must register a Djinn Equip within the Djinn Section of the Ability forum. 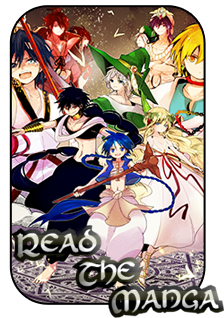 Extreme Magic ( Kyokudai Mahō) is a magic that is used by those who have mastered Djinn Equip. When performing extreme magic, the user first has to recite a chant, usually related to the chant that activates their Djinn's abilities. While performing the chant, the metal vessel symbol appears and their particular element gathers but isn't ready to be used until the chant is over. An Extreme Magic is the most powerful ability on the site. Only one can be registered per Djinn. These don't follow any guidelines but will still be balanced. These abilities are twice as strong as Ω-Tiered abilities, meaning that in order to defend against an Extreme Magic, a person would have to use an Ω-Tiered defense. Although they don't follow any specific guidelines, they will be graded VERY harshly, and will be balanced in some way or another. One can do this by using either their weapon in Weapon Equip form or through their Weapon and/or Body in Djinn Equip Form. You can absorb the natural resources of the given area which pertains to the element of your Djinn (but it must ACTUALLY be present). You can also directly take in a single ability of said element, simultaneously nullifying it in the process. Every time you absorb these resources, you regain 50 Magoi/Stamina. You can do this a total of two times in a single topic. After absorbing once, you must wait 5 posts until you can do it again. You cannot absorb your own abilities, only those of other characters. A Metal Vessel can only be destroyed by Ω-Tiered techniques or a number of techniques which add up to deal Ω-Tiered damage to it. Once destroyed, the Djinn cannot be placed within the same object, even if the latter is repaired. A person can transfer the Djinn by performing a ceremony. This works like training spells and traveling in the sense that it costs words. In order to transfer a Metal Vessel, a person must type up 5,000 Words, detailing how the new object becomes one of deep personal value for the wielder. Dark Metal Vessels are the objects (weapons, jewelry, accessories, etc) that allow a depraved soul to turn into artificially-created Djinn using the power of black Rukh. Unlike the regular King Vessels which are based around living Djinn, Dark Metal Vessels can be created by humans. Just like the Solomon counterparts, the dark vessels also have three stages which are very similar to the other Djinn. The first stage Servant is the stage that all dark vessel owners will start out. It is a stage when basic skills are allowed to be used. This stage will also allow the dark vessel to become a weapon form just like their Solomon’s counterparts. They may have one member of their household at this point in time. The stage that proceeds servant is the Duke stage. One’s magoi is now more tainted with black Ruhk than ever now. This will allow them to perform a dark djinn equip. Unlike the Solomon’s group that takes on an appearance similar to their Djinn and grow the third eye dark djinn equips will most times look more like an armor or something similar to form around them. They will be able to have up to a three household members at this point in time. Once a person reaches Omega tier they can utilize extreme magic while in this form. The final stage of the dark djinn stage is that of the Tyrant. This stage will allow the user of the vessels to make the ultimate sacrifice to gain extreme power. By inflicting Beta tier damage to oneself they will cause black Ruhk to pour out from them causing it to flock to them and form around them. This will cause them to become black Djinn, beings that will have strength and speed of that of Alpha tier, flight of a speed of 20 m/s. This skill will of course cause a heavy burden on the one using it causing them to lose 15 magoi from their base pool permanently. Now unlike Solomon’s Djinn, Dark Djinn do not need training to have their strengths unlocked. They will progress in strength once a person reaches the appropriate tier along with doing an act of extreme violence. These acts will normally be scenarios generated and NPCed by staff but players will have the option to work with staff to make scenarios that will make sense for their characters along with their own plots. Using the black djinn form will cause 15 magoi to be taken from your base pool permanently. We won't dictate what or how your Weapon and Djinn Equips look like; however they have to relate to the given Djinn. Eg. A fire Djinn Equip can't look like an icy or watery armor. Abilities will have to follow the guides! Duke: 4 abilities that can manifest throughout any of the forms, these cannot be greater than B tier. Tyrant: 7 abilities that can manifest throughout any of the forms, these cannot be greater than Alpha tier. The user first surrounds the Metal Vessel with Magoi and compresses around it to form the Djinn's Weapon. 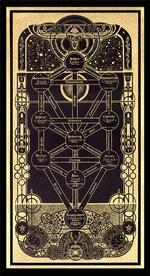 Using this same principle to surround the body allows one to fully Djinn Equip. This is the proper way to use a Djinn's power, rather than just exploding the power outwards. A Djinn Weapon Equip creates a weapon out of the Metal Vessel, regardless if the Vessel itself is a weapon or not. The weapon acts as if it does C-Tier damage, but it only costs 10 Magoi to cast. The user must pay 5 Magoi for every one of their posts in which they sustain it. The weapon itself cannot be shattered (unless if an Ω-Tier ability hits it), but neither can it help in defending against other abilities. A Djinn Equip for a dark vessel is slightly different than their counter parts. They will have the same basic function of taking on that tools true power but will mainly have armor or minor changes to them, nothing extreme changes of their appearance such as the actual Djinn, instead they will more than likely have an armor or some kind of suit formed around them. They will also not have the free ability that cost ½ the normal magoi to cast. In this state, the Weapon of the Djinn deals A-Tier damage, however a person's Borg, other weapons, and abilities outside of the Djinn cannot be used unless if they revolve around the basic weapon. Eg. If you specialize in Strength and your Weapon Equip is a blade, you can utilize any Strength abilities which pertain to using blades. The cost for all Djinn Equips is the same. You pay 20 Magoi as an initial cost, and 10 for every post you keep it active. This is when the user of a dark vessel takes the ultimate step and plunges their weapon into themselves. This act will automatically deal B tier damage to the body that will take effect once this mode turns off. The act will spark a massive amount of dark Rukh to flow and coat the user causing them to take on the form of a black djinn. These are beings made of pure dark Rukh and give extreme benefits to those that can utilize their power. You can not absorb your own abilities, only those of other characters. A Metal Vessel can only be destroyed by Ω-Tiered techniques or a number of techniques which add up to deal Ω-Tiered damage to it (this accumulates over all of your topics). Once destroyed, the Djinn cannot be placed within the same object, even if the latter is repaired. A person can transfer the Djinn by performing a ceremony. This works like training spells and traveling in the sense that it costs words. In order to transfer a Metal Vessel, a person must type up 5,000 Words, detailing the ritual. Household Members are people who help King Vessels capture Dungeons and form Household Vessels from that person's Djinn, or if they form a strong connection to the King Vessel. 1. They must have had at least 3 topics with the King Vessel, OR aided him in capturing the Dungeon (both is fine). 2. They must forever stay allies with the King Vessel, or have some sort of strong connection with him or her that never breaks. If they cannot sustain this relationship, their Household Vessel vanishes completely. 3. If said King Vessel already has the maximum amount of Household Members, he or she cannot have any more until they rank up or lose some from the current roster. Household Vessels (Kenzoku Ki) are objects (weapons, jewelry, accessories, etc.,) that hold importance to the Household Members of a Dungeon Capturer. Unlike metal vessels, these do not have to be made of actual metal. A Household Vessel can be literally ANYTHING inanimate, as long as it was never alive or currently alive. A Household Member can register up to 2 abilities for their Household Item to start with. They can be up to B-tier to begin with and have to relate to the "Theme" of the Dungeon Capturer's Djinn. Household Abilities must be registered within the Djinn Registration section of the Abilities Forum. If a King Vessel has lost and/or destroyed his or her Metal Vessel, then NO members of the Household can use their Household Abilities until it has been recovered or repaired. In order to make a pact/connection with your King Vessel's Djinn, you must type up a certain amount of words, just like when you train spells and do travel topics. The word count for obtaining and performing the ritual on a Household Vessel comes at a cost of 3,000 Words. A Household Vessel CAN be used to defend against other attacks, however at the same time the Vessel itself is damaged. A Household Vessel can be destroyed by A-Tier damage, or a series of attacks which accumulate to serve A-Tier Damage. A Djinn can be transferred from one Vessel to another, just like Metal Vessels. This process is just like the first ritual for when you first obtain the vessel, and comes at a cost of 3,000 Words. Ally: An Ally is the beginning tier of Household Members. At this tier, you may register up to two B-tier abilities to your Household vessel. These must be registered within the Djinn Registration section of the Abilities Forum. Advisor: An Advisor is the second tier a Household Member can reach. An Advisor must have 5 threads with their King Vessel. At this point, an Advisor may register two B-tier abilities and one A-tier ability. A King Vessel may only have two Advisors.